Are you passionate about helping clients evolve their organization to adapt to and solve the complex challenges of globalization and digitalization by using digital technologies to capitalize on value-creating opportunities? Are you enthusiastic about helping clients develop their workforce and culture into an agile, data-driven, market-sensing organization that successfully integrates digital technologies into the everyday life of their clients? As a member of our Organization Transformation - Digital Enablement practice, you will deliver change management, training, communications, organization design and governance, and culture solutions that enable industry-leading clients to meet and exceed their digitalization goals. Would you like to work for an organization committed to your professional development and personal success? How about a company that “walks the talk” by being an organization built for agility, driven by a workforce and culture that extends beyond borders and is led by empowered leadership? 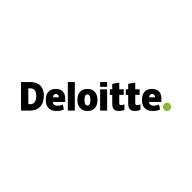 Deloitte offers an award-winning culture that supports our employees’ development of their personal brand through learning opportunities, professional experiences, inclusion, collaboration and personal well-being. As a Digital Enablement Manager, you will lead teams using agile, data-driven, digital solutions to address the human factors affecting an organizations’ ability to reach its strategic objectives, including how the workforce is organized, how to define and develop the workforce, and how to cultivate, engage, evolve, measure and incentivize the workforce. Responsible for managing and leading business development efforts, including Statements of Work (SOW), proposal development, client presentations, etc. Lead and contribute to practice development initiatives including culture building, internal community involvement, eminence, recruiting, whitepapers, etc. The Organization Transformation practice is about transforming the organization (and the benefits providers that serve them) to support its business strategy. This involves helping our clients move from where they are today to where they need to be in the future. It could include changing the organization’s culture, modernizing specific functions, re-designing the organization structure, and will require a combination of change management actions to execute the transformation. To enable our success, it will be critical to use data and insights to inform better ways of working together. Demonstrated interest in a profession in Human Capital work through professional organizations, coursework, certifications, conference attendance, etc. As used in this posting, “Deloitte” means Deloitte Consulting LLP, a subsidiary of Deloitte LLP. Please see www.deloitte.com/us/about for a detailed description of the legal structure of Deloitte LLP and its subsidiaries. Certain services may not be available to attest clients under the rules and regulations of public accounting.